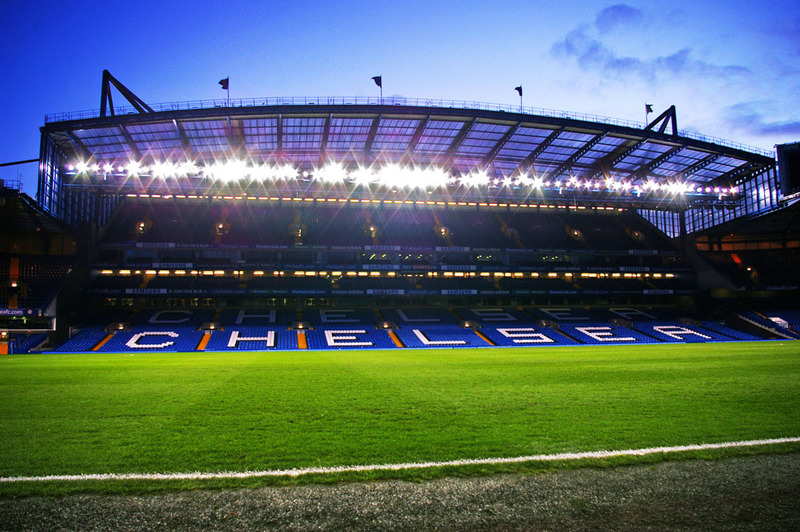 WIN 1 of 4 tickets to see Chelsea take on Arsenal at Stamford Bridge! For your chance to win, visit our Facebook page and tell us your New Year’s fitness resolution in the comments box below the post. That’s right, four lucky members will join our Gym Manager, Jake Helm for complimentary food and drink, before taking their seats to watch Chelsea take on Arsenal, next Wednesday 10 January. The competition closes at midnight on Sunday 7 January 2018. Good luck! Terms and conditions apply, see below. By participating in this promotion (the “Promotion”), each entrant is deemed to have accepted these terms and conditions. 1.1. The Promotion is being run and administered by Chelsea Leisure Services Limited (company number 02450608) of Stamford Bridge, Fulham Road, London SW6 1HS (the “Promoter”). 1.2. Chelsea Football Club Ltd and its affiliates are not responsible for the operation of this Promotion and have no liability to any entrant in connection with this Promotion. 1.3. The Promotion is open to members of the Chelsea Health Club & Spa, but excluding employees of the Promoter, its group companies, anyone professionally connected with the Promotion and any member of their respective immediate families. 1.4. The Promotion will open at 14:30 Friday 5 January and close at midnight on Sunday 7 January (all times stated as UK) (the “Promotion Period”). 1.5. Entries received by the Promoter outside of the Promotion Period will not be eligible to win a Prize (as defined at paragraph 4, below). 1.6. No purchase is required to participate in the Promotion, however entrants will need an Internet connection. No refund may be claimed for expenses incurred in participating in the Promotion, including in relation to the use of the Internet. 2.2. Entrants may only participate in the Promotion once. Duplicate entries will be void and only the first entry submitted will be eligible to win a Prize. (b) exclude anyone who the Promoter believes to have acted in breach of these terms and conditions from participating in the Promotion. 2.5. The Promoter shall not be responsible for any attempt to participate in the Promotion which is unsuccessful or incomplete for any reason, including as a consequence of communication or network failures. 3.1. At the end of the Promotion Period, the health club’s General Manager, on behalf of the Promoter will select 4 winners based on the suitably and creativity of received responses (the “Winners”). 3.2. The Winners will be contacted by the Promoter on Monday 8 January (through Facebook). In the event that a Winner has not responded to claim their prize by 20:00 on Monday 8 January or chooses not to redeem the Prize, a replacement Winner may be selected in accordance with paragraph 3.1. 3.3 The Promoter will send the full name of the Winners to anyone who contacts the Promoter within one month of the closing date of the Promotion requesting details of the Winners. 4.1. Each Winner will receive 1 match ticket to Chelsea FC’s match against Arsenal in Carabao Cup on Wednesday 10 January (kick off: 8pm), along with food and drink before the match. The Prize does not include travel to and from the Stamford Bridge and Winners are solely responsible for getting to Stamford Bridge on the day of the match. 4.2. The Prize may not be substituted or exchanged and there is no cash alternative. Where the Prize is subsequently not available for any reason beyond the Promoter’s control, the Promoter may replace the Prize with a prize of similar or greater value. Unless otherwise agreed by the Promoter, the Prize will only be awarded to the Winner. Under no circumstances may the Prize be sold, for cash or otherwise. 4.3. All Chelsea FC fixtures are subject to change. Use of any tickets or access to any venue owned or controlled by Chelsea Football Club, including the Stamford Bridge stadium, as part of the Prize is subject to Chelsea FC’s ticketing rules and regulations from time to time including Ground Regulations and Conditions of Issue, copies of which can be accessed at www.chelseafc.com/tickets-membership/general-ticket-info/policies. 5.1. To the maximum extent permitted by applicable law the Promoter excludes liability for any losses, damages and claims incurred by any person in connection with the Promotion. 5.2. The Promotion is not in any way sponsored, endorsed or administered by, or associated with Facebook or Twitter and each entrant acknowledges and agrees that neither Facebook nor Twitter shall have any liability in connection with the Promotion. 6.1. Each entrant agrees that if the entrant is a Winner of the Promotion, the Promoter may use the entrant’s name, image and town or county of residence to announce the winner of the Promotion and for other reasonable and related promotional purposes. 6.2. By entering the Promotion, each entrant agrees that any personal information provided in connection with the Promotion may be held and used by the Promoter (and/or its agents and suppliers) in order to administer the Promotion and for the purposes set out in paragraph 3 and this paragraph 6 of these terms. 6.3. Where an entrant has opted in to receive marketing communications during the process of entering the Promotion, that entrant agrees that the Promoter may use the entrant’s personal information to provide the entrant with information about goods and services of the Promoter, and of third parties selected by the Promoter, which may of interest to the entrant. 7.1. All decisions made by the Promoter in respect of the Promotion shall be final and no correspondence will be entered into. 7.2. The Promoter reserves the right to amend these terms and conditions, any Prize and/or cancel the Promotion at any time as a result of circumstances beyond its control. 7.3. If any provision of these terms and conditions shall be found by any court or administrative body of competent jurisdiction to be invalid or unenforceable, such invalidity or unenforceability shall not affect the other provisions of these terms and conditions, and all provisions not affected by such invalidity or unenforceability shall remain in full force and effect. 7.5. This Promotion, and any dispute or claim arising out of or in connection with it, shall be governed by and construed in accordance with English law. Each entrant agrees that the courts of England and Wales shall have non-exclusive jurisdiction to settle any dispute or claim that arises out of or in connection with this Promotion.